(PRLEAP.COM) September 16, 2014 - MATRIX, the simple, powerful LMS for businesses announced the launch of its Global Partner Program, which provides an opportunity for companies to offer their customers the best cloud-hosted LMS. The Resellers network, which is free for partners to join, is for companies who want to grow their revenues by offering their clients the best solutions and resources. MATRIX LMS is a very popular LMS among businesses that want to deliver the best online training to their employees and customers. 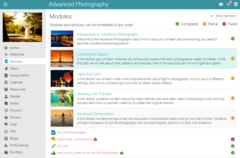 It has an attractive and easy to use interface, a responsive design, and provides the range of functionality you'd expect in a modern LMS, such as a customizable portal, support for courses, and integrated e-commerce functionality. CEO and Founder Graham Glass said: "Matrix LMS is great for companies that need a powerful, yet simple LMS to provide their employees with the best e-learning content and/or generate revenue by selling their courses.We're very happy to announce our Resellers Network launch, and look forward to teaming up with forward-thinking companies around the world." MATRIX LMS was recently announced as one of the finalists for the Best of Elearning! Awards 2014 in the category "Best Learning Management System (Cloud/SaaS). Readers and professionals from both the private and public sector casted nominations for the best-in-class solutions across 27 product categories. 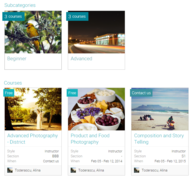 MATRIX is a simple, powerful LMS for businesses that makes it easy to deliver online training. The company was founded in 2010 by Graham Glass, the CEO of MATRIX LMS and a serial entrepreneur with a track record of innovation. Graham is also the CEO of NEO LMS, which provides an LMS for schools and universities.